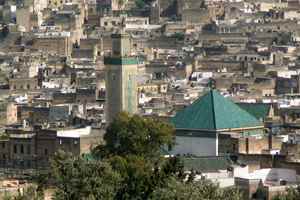 Enjoy this short tour of Fes and its surrounding areas. 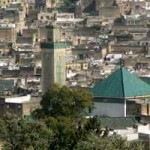 Upon arrival to Fes International airport, you will meet your driver and be taken to your hotel where you will begin to be enchanted by the beauty of this magnificent ancient medina. 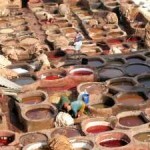 After breakfast you will begin your guided tour of the medina, one of the world’s largest walled cities. You will explore the narrow streets lined with fresh fruit, mounds of spices, intricately woven Berber carpets and many other art objects of Morocco. 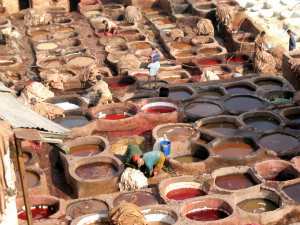 A visit to the Kings Palace, the tanneries, and potters are just a few places you will experience. For lunch you will eat in traditional restaurant in the heart of the medina. After lunch you will complete the tour and return to your hotel for the evening. This day can be spent exploring the streets of Fes, shopping for the exotic wears that can only be found in Morocco, or leisurely strolling through the market place and escape into a whole new world. 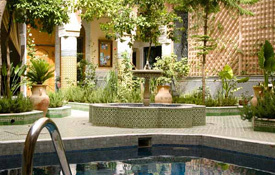 We are an American-owned, Morocco licensed travel company based in Fes, Morocco.